England’s Luke Donald has surrendered golf’s number one ranking to Northern Ireland’s Rory McIlroy following a poor showing at the Heritage tournament. Donald finished 37th at the RBC Heritage, won by Sweden’s Carl Pettersson, where the Englishman needed to finish in the top eight to keep his razor-thin margin ahead of McIlroy in the rankings. Reigning US Open champion McIlroy, who turns 23 next month, claimed the top spot for the first time in his career last month when he won the US PGA Honda Classic. But Donald moved past McIlroy two weeks later, reclaiming the top spot by winning the Transitions Championship on the PGA Tour. Donald, still seeking his first major title, first claimed the top ranking after winning last year’s BMW PGA Championship on the European Tour. The 34-year-old has spent a total of 44 weeks in the top spot including an unbroken 40 week stretch between May 2011 and March 2012. 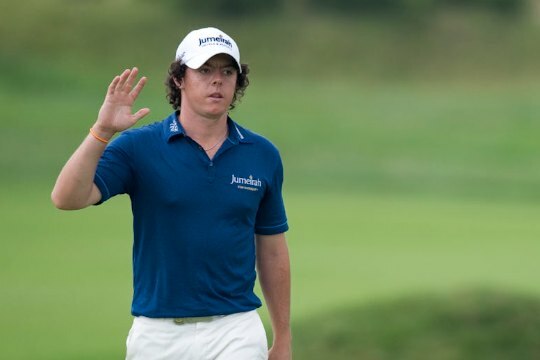 McIlroy had a successful amateur career, topping the World Amateur Golf Ranking for one week as a 17-year-old in 2007. Later that year he turned professional and soon established himself on the European Tour. He had his first win on the European Tour in 2009, and on the PGA Tour in 2010. He represented Europe in the 2010 Ryder Cup. In November 2011, McIlroy finished tied for fourth at the WGC-HSBC Champions to move to a new career high of number two at the time.